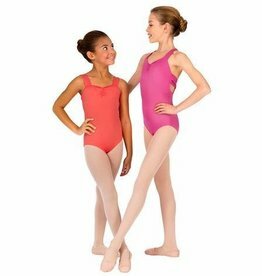 Child wide strap leotard with pinch front. Mesh detailing on the shoulder and continued to the back to create a sophisticated look. Pictured lilac, available in Black only. 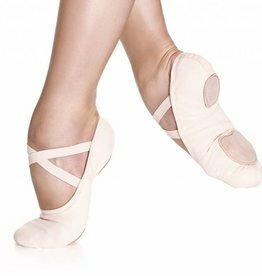 The modest neckline and V-back shape highlight a dancer’s grace and strength, while low, comfortable leg openings stay secure through every class.